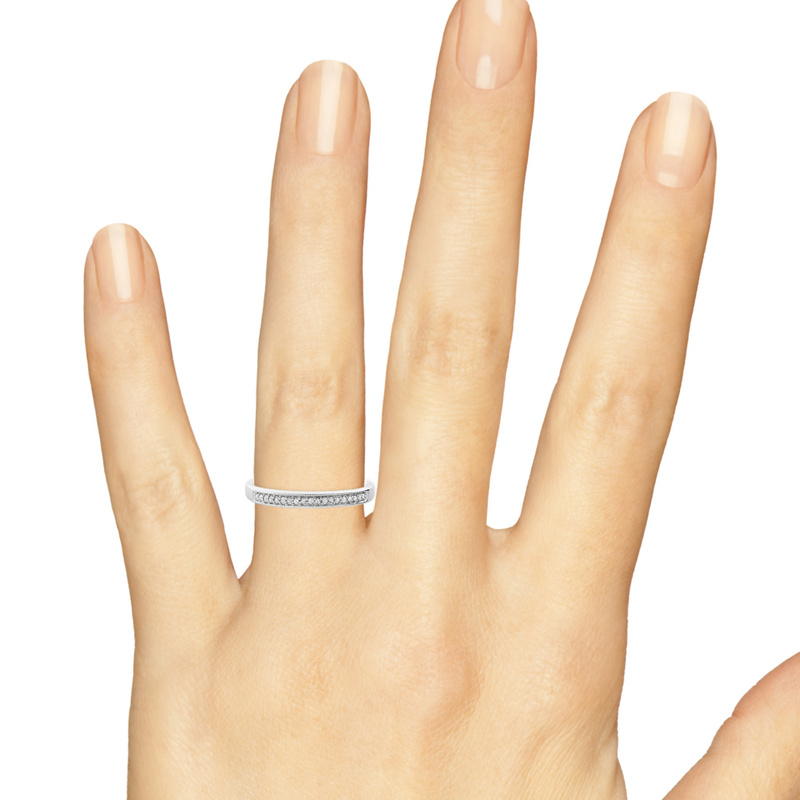 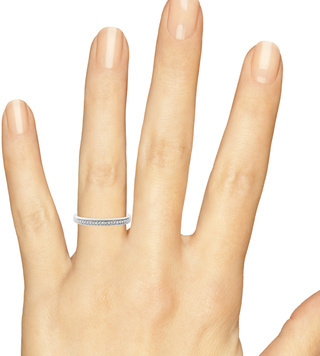 This thin wedding band is understated to perfectly complement the engagement ring in the bridal set, yet very elegant and beautiful. 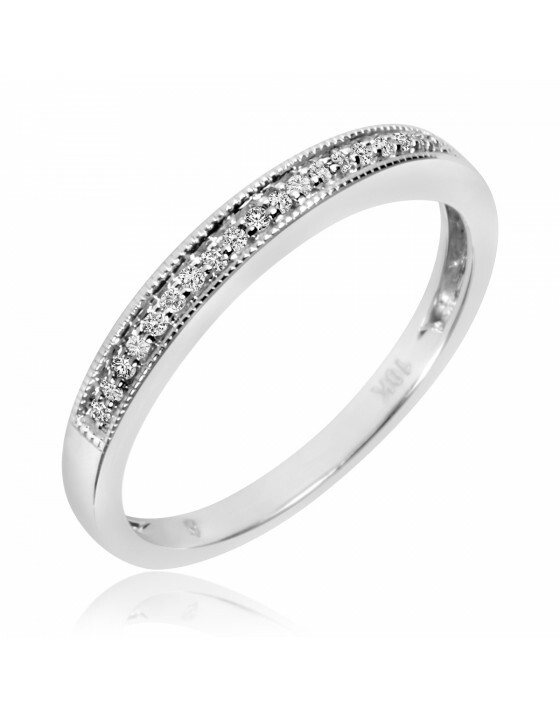 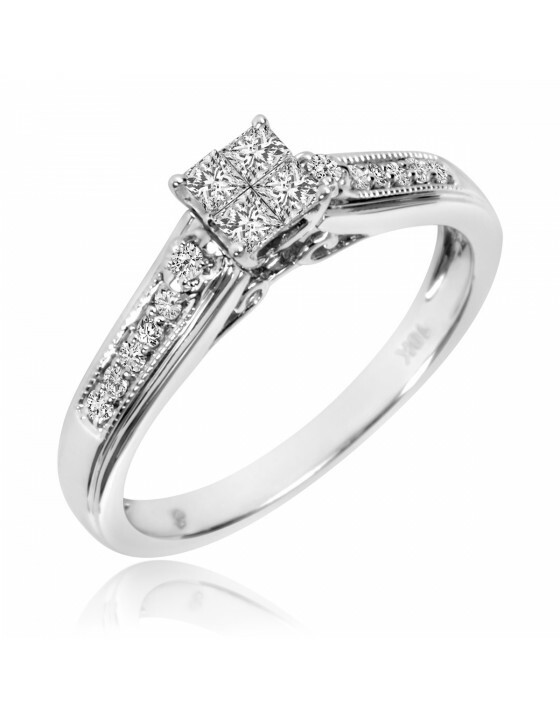 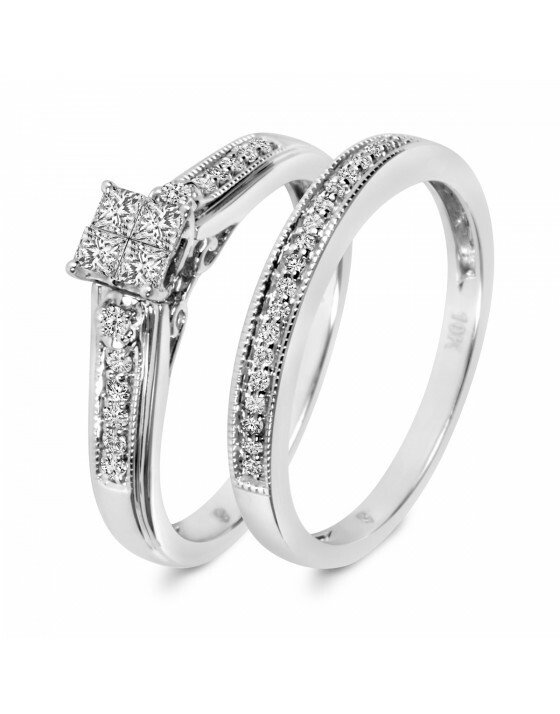 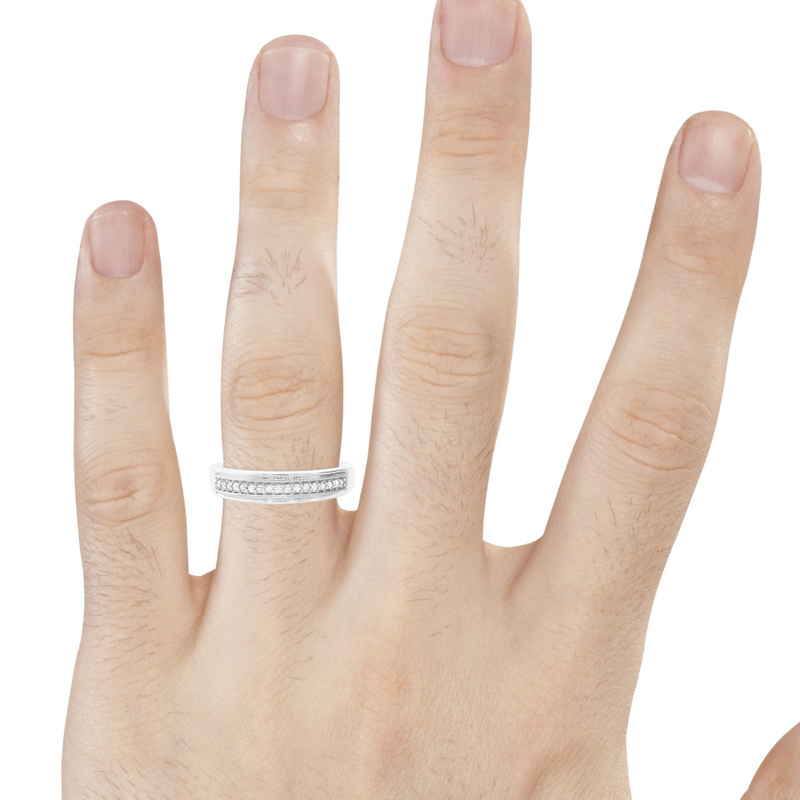 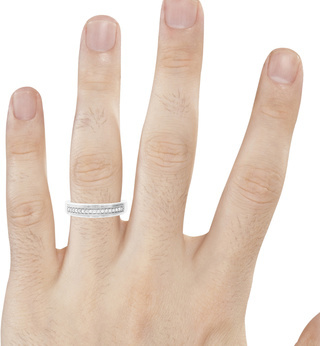 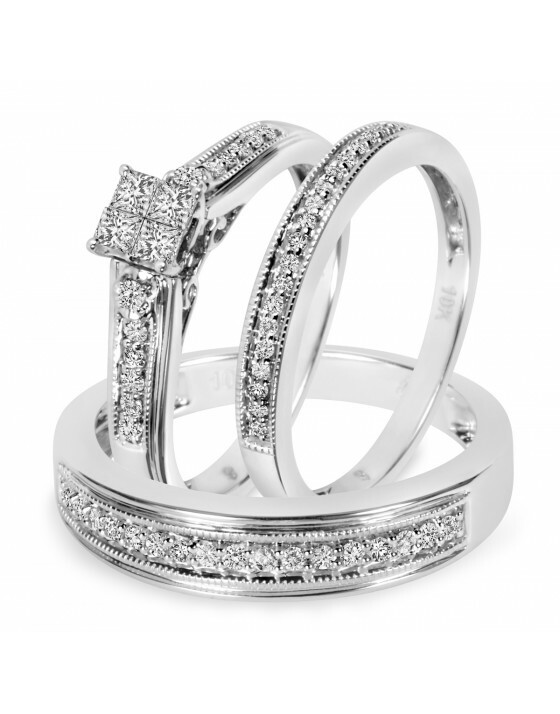 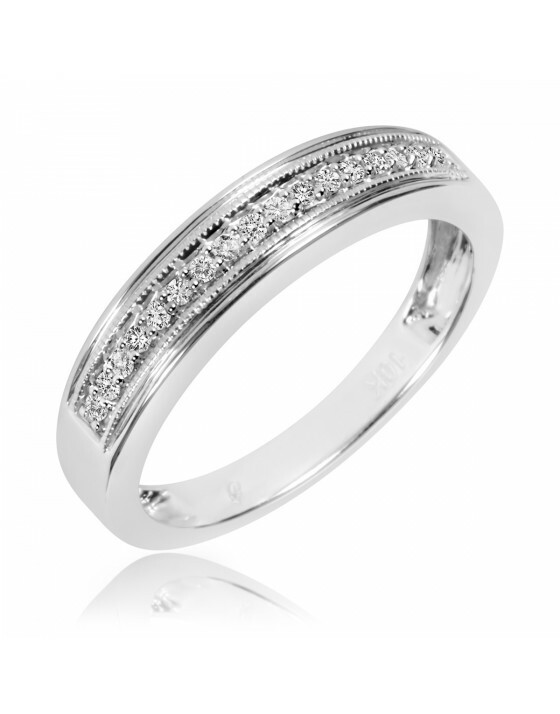 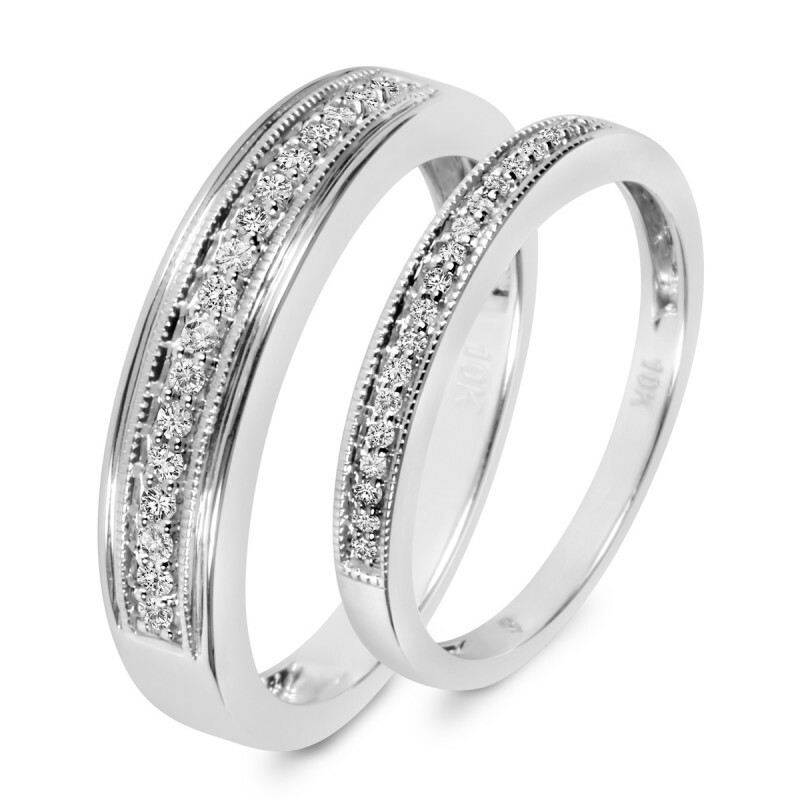 It features 19 round diamonds in a row along the front, with a milgrain border on the top and bottom of the 10K White gold band adding a touch of intricate detail. 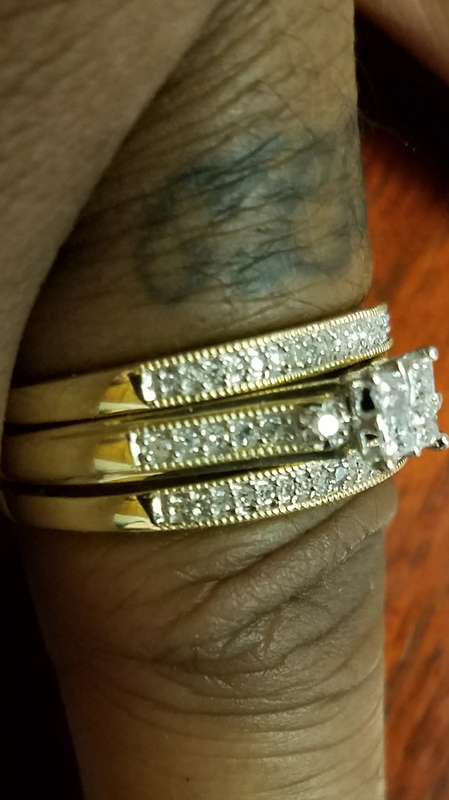 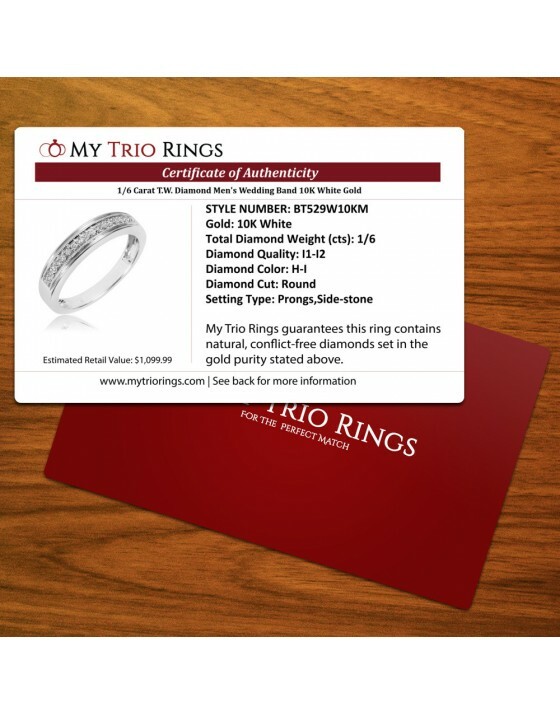 Order as an add for my Bridal set, great quality but thin band.